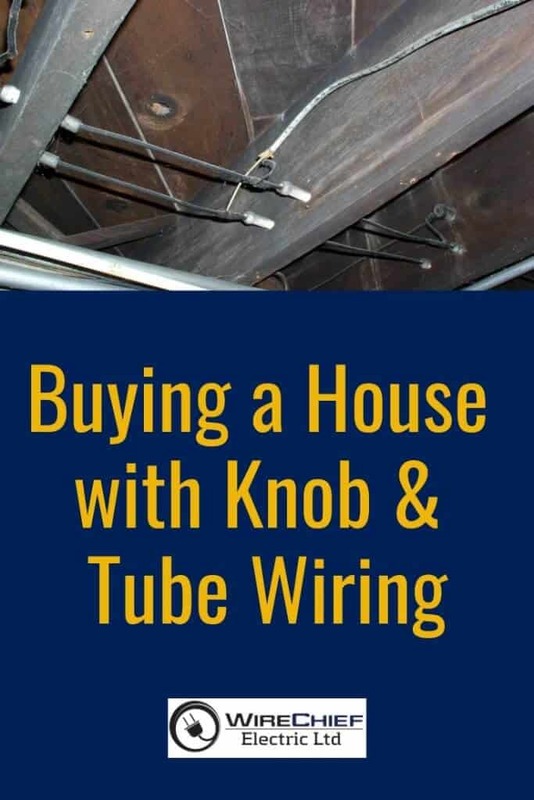 Without doubt, if you have purchased a grand old house with knob and tube wiring, you know that you will have to address this outdated wiring method at some point. If the house is your “forever” home, whole rewiring is the right choice. The old K & T wiring and the very likely additions and alterations are better served by disconnecting and rewiring to the most up to date electrical code requirements. Rewiring an existing house is much more complex than a new home build, but with the right electricians, it can be done in a very professional manner. Because It is around 70 – 110 years old, sometimes the wiring is worn out. The porcelain knobs and tubes crack or break, aged wires sag and fray, and the sheathing turns brittle and falls off, exposing the live wires. Frequently homes that were originally knob and tube wired now have a hazardous combination of knob and tube and modern wiring due to improper modifications. K & T wiring is an UNGROUNDED system which is not up to today’s standards. Knob and tube wiring is intended to be strung through open air so the heat can disperse well. Improved insulation techniques create hazards as loose-fill insulation blown into the attics and walls of older homes will come into contact with the wires creating a serious fire risk. Greatly higher electrical demand causes overuse of extension cords and power bars. Replacement of blown fuses with fuses rated for higher current. This over fusing of the circuits expose wiring to higher levels of current and risks heat damage or fire. 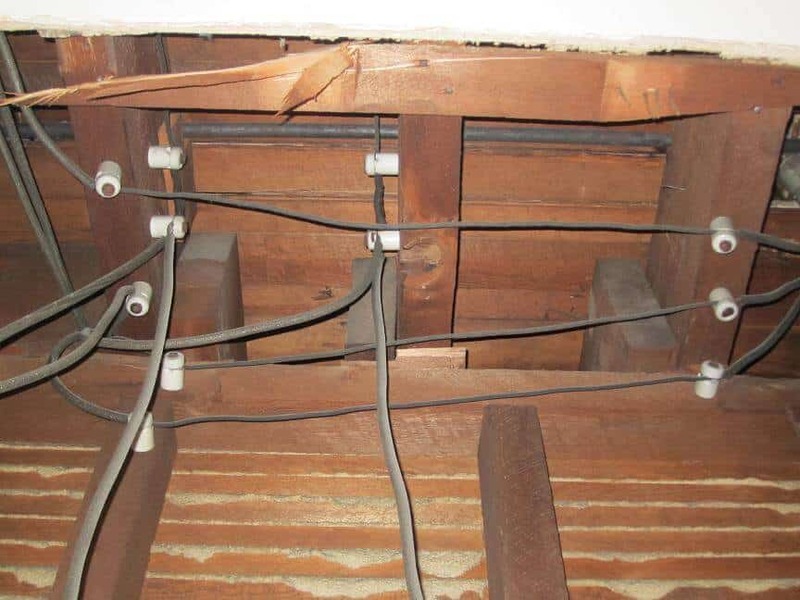 K & T wiring might also be damaged by unlicensed renovation work or even by rodents. Removing the old K & T wiring and replacing the whole system with new copper wiring to meet today’s Canadian Electrical Safety Code standards. Replacing all ungrounded switches and receptacles with CSA approved devices. Most insurance brokers view this wiring method as a severe safety hazard and all require an electrical inspection done by a certified electrical contractor before a policy is issued or renewed. Most insurance companies in Vancouver required a minimum of Medium Risk report. The Vancouver electricians at WireChief Electric are specialists in knob and tube wiring; caring for these elegant and splendid homes with experience, patience and expertise. When WireChief Electric complete a knob and tube rewiring, the home has all the character of its era, and all the convenience and safety of a new house. The job is performed with a minimum of household disruption, and most significantly, avoiding any unneeded damage to the home’s walls, ceilings, floors and baseboards. Because mostly older houses have a combination of knob and tube and newer wiring, it is essential to have a professional electrical inspection and assessment so you know all your options available before you proceed. A consultation visit by one of our experienced electricians will provide you with all the options available to make your house safer. With care and expertise, a beautiful old house CAN be rewired without demolition and any significant damage. The splendour and charm of a heritage home can remain intact while having the safety features and improved appraisal value of contemporary wiring. If you’d like to learn more about your system & investigate the possibility of rewiring your Knob & Tube house, contact us form a free, no-obligation home consultation.